CM: What do you tell your customers to do before the hurricane hits? 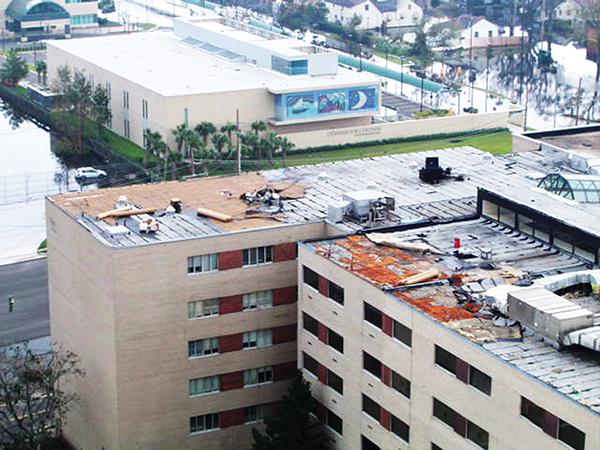 DT: Weeks and days before a storm or hurricane, schedule a roof inspection for ways to better prepare your roof. CM: What’s the biggest mistake you have seen your customers make pre-hurricane? DT: Not removing debris or construction materials from the roof. CM: Are the tough building codes in Dade County, FL really helpful during a hurricane? DT: Yes, Dade County is the best. The codes are designed specifically for hurricanes from the building foundation to the roof. CM: What happens after a hurricane? DT: First, we have to wait until it is safe to travel. Once we mobilize our crews, we help to get your building “watertight” using proper safety equipment and procedures. Then we assist with temporary repairs, permanent repairs and/or full roof replacement. We are so fortunate at CentiMark to have 80 offices and 3,000 associates. When a hurricane hits, we can pull crews from other parts of the country to the hurricane area so that we have trained roofers to help our existing and new customers get watertight in a timely manner. CM: Do you help with insurance claims after a hurricane? DT: Sometimes we are asked to work with the insurance companies by meeting with an adjuster or going up on the roof for an inspection. It is a service that we are willing to help our customers with during the aftermath of a hurricane.